rogue poags: It's Coming: Disney on Ice! 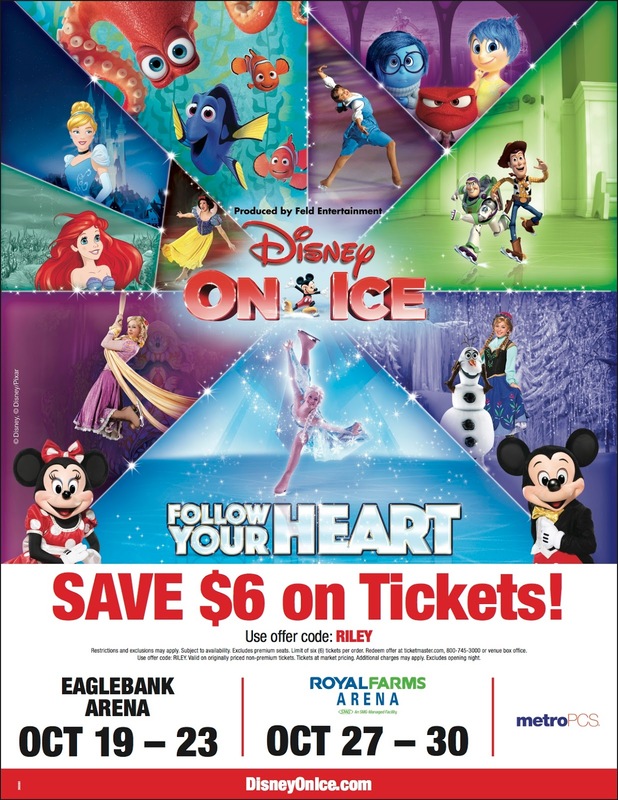 It's Coming: Disney on Ice! The best part about Summer ending in the Poag household is the fun shows that come to our local area! It's something my boys look forward too every season! Our first show is Disney on Ice presents Follow Your Heart! IS COMING TO FAIRFAX, VA, OCTOBER 19-23! Use offer code: RILEY to save $6 on tickets! and stay tuned to my blog for a 4 pack giveaway for OPENING NIGHT!